I'd like to know your views on small rural towns (pop. 2500 or less) futures, in re-identifying themselves and developing a sustainable economy based historical tourism? Specifically, Halifax county NC has numerous small towns that have lost agricultural and industrial economies. They're cleaning up their town streets and removing old dilapidated buildings in the hope to attract families and new business. Weldon NC with a pop. 1700 60% African American, poverty, high unemployment, literally has no bank, one red and white grocery store and a Dollar Store. It's a good question whether any rural towns of 1,700 can survive and thrive again in the U.S. Thanks for the great before and after photo of the storefront--a good building renovation. 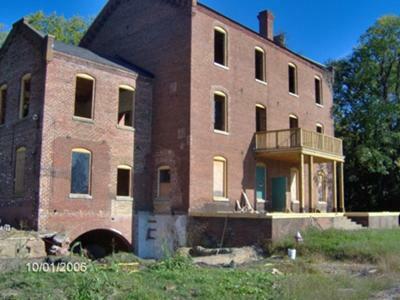 Turning abandoned buildings into community centers also is sound, if you need meeting space. It looks as though you've also done an attractive streetscape, another important step in keeping a small town competitive. You say that you've lost your industrial base. Probably so. While it's not impossible for the U.S. to regain some share of the world's manufacturing, the likelihood that this will occur soon in rural North Carolina is very low. You might be able to do more about agriculture. Unless you've simply given over all your land to small town sprawl, which is a possibility, you shouldn't entirely discount the possibility of agriculture. You simply would have to find brand new, more profitable crops, and possibly supplement the tired-out soil. Consult someone in your state's extension agency about whether agriculture really is dead in your area. Sometimes people just think farming is over for them if the crops or livestock that they are accustomed to raising are no longer profitable. But they might able to find new more economically feasible ways of making a living, or at least adding to income, through agriculture. Now to your main question: can you make enough money to survive on historic tourism? One of us took a very brief look at your county's tourism website and learned there are many Civil War sites, and perhaps some other charming Southern types of places to visit. 1) Combine forces with the other small towns in the county so that you have enough accommodations and enough attractions to advertise together. Tourism and economic development do go hand in hand, but everyone is competing for possibly less tourist spending now that there's threat of economic stagnation. 2) Be very careful that your advertising, which now can be the "free" advertising on the Internet through social media, explain in an exciting way why your destination is unique. 3) If your destination isn't unique, do something to make it that way. What's going into that community center? Think up no-cost, low-cost ways to make it the most interesting community center anyone has ever seen--one that can double as a museum when people aren't using it for meeting space. 4) Build interest with art in public places and almost anything else that would be unexpected and imaginative. Where would people like to have their picture taken in your town? No particular answer? Better make one. 5) If your stock in trade is history, the history needs to be well-written, well-interpreted, and compelling. Just because you find it interesting doesn't mean everyone else will. So ask some state-level experts, starting with your excellent state university, if your history really is important, and if so, how. Make sure the story is told well and told often. Try to develop new angles, find new artifacts, and audiotape or videotape oral histories from old timers who can relate some of the more recent history. Not the Civil War, but maybe they have stories about their ancestors who did remember the Civil War. 6) Emphasize education for the young people and creative thinking for the adults. If you are dull-witted, you aren't going to win at this game. People who are interested in history often are educated, and they want to find other people who can talk their language. 7) Prepare yourselves for drastic changes. Maybe every small town can't or won't survive. As we've suggested on our site somewhere, it may be that most of you have to move somewhere else to make a good living again. If you move together as a group, that takes some of the sting out of that. 8) Following on that rather bleak idea, do be realistic about whether what you are doing is working. Develop a very strong custom of talking honestly with one another and being rational, not sentimental, about what is working and what isn't. If you can't survive as a small town, those of you still of working age will have to move to a larger city, but I can feel that's not what you want to do. So do give it your best effort, and don't be sloppy about anything when you're seeking historic tourism business. Hit every possible visitor objection with an answer. One grocery store may be quite enough, but does it sell a headache remedy (because we bet you have a tavern)? You aren't big enough for a hotel unless you're right on I-95, but is there a place that is suitable for a bed and breakfast? If not, can a few people rent out rooms? That's the kind of thinking you have to do. Historic tourism is a big business right now, and quality efforts will be rewarded, at least in the short run while there are retirees with money who like to travel. LOl there isn't even a "tavern" but I agree with you completely. 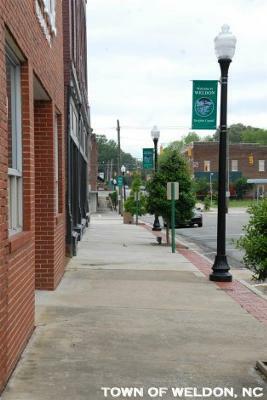 I'm retired and originally from NY but I love the small rural southern charm of Weldon, NC. So, I'm looking to settle here for at least a few years to see what happens. I think that idea of re-establishing "agriculture" in a different way may work by using Greenhouses, particularly since Weldon is nestled along the Roanoke River, which could be used as a source of irrigation. Thank you for your well written, timely and detailed reply. I'm a committed fan to your site and look forward to sharing our progress here in Weldon. Join in and write your own page! It's easy to do. How? Simply click here to return to Rural Development Question.